100-piece Cityscape, Mountain Wooden Train Set just $69, Free Shipping! 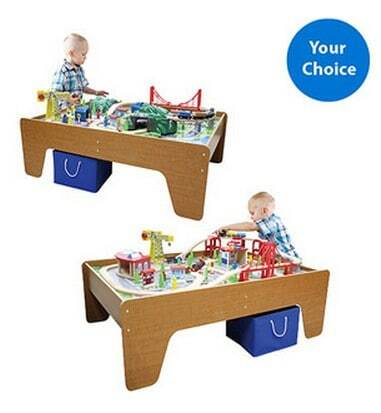 You can choose from a 100-piece Cityscape or Mountain Wooden Train Set that are both on sale for $69 at Walmart.com right now. These sets normally sell for $79 or more!